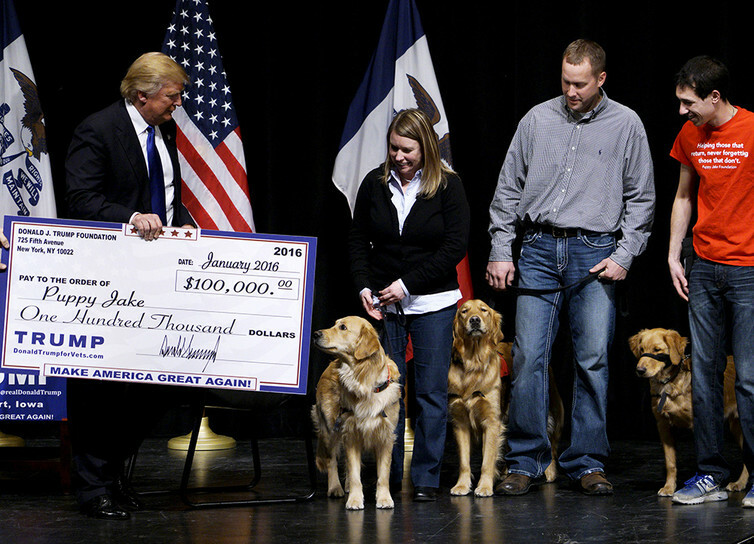 Trump presents a mock check – with his campaign slogan emblazoned on it – to members of the Puppy Jake Foundation in Davenport following his vets’ fundraiser. 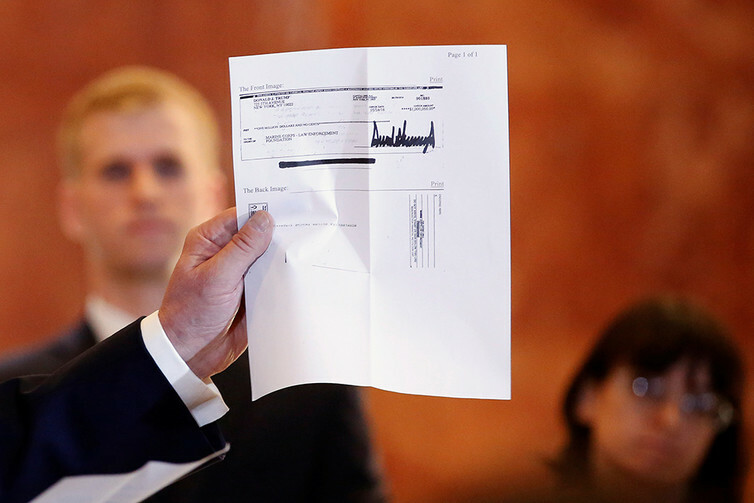 Trump holds up a check to prove he sent the money he raised at a fundraiser to veterans organizations. 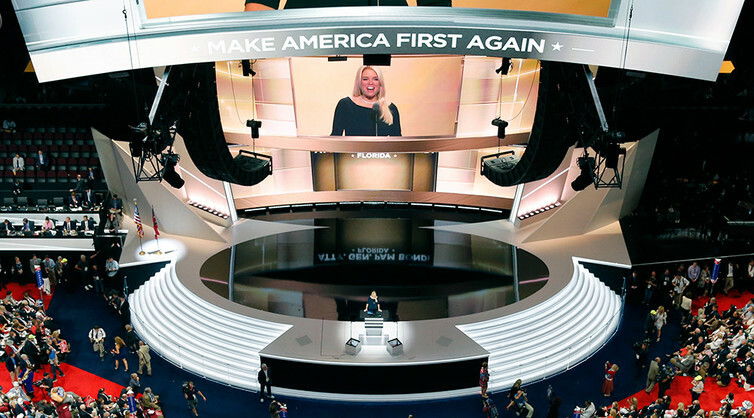 Florida Attorney General Pam Bondi spoke in support of Trump at the Republican National Convention in July.